Edge Bioactives Spartagen XT Advanced Testosterone Review: Is it Effective? Edge Bioactives claims to have spent a great deal of time and effort on creating the best formula design team. They say their goal was to provide a supplement made with natural ingredients which were scientifically validated to work. This product is said to dramatically increase free testosterone; enhance stamina; and significantly boost the libido. It is further asserted to kick sexual performance into overdrive. gland’s task of producing testosterone. Eurycoma Longifolia Jack is another component often added to supplements designed to address and correct low T as well as erectile dysfunction. It is sometimes called Malaysian Ginseng because it has been used as an aphrodisiac for centuries and has been shown to enhance sperm potency. 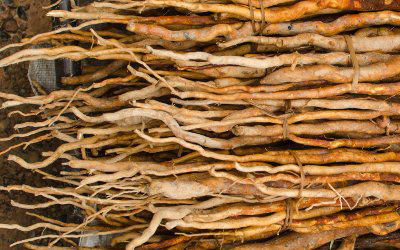 Asian Ginseng is a known to be a powerful antioxidant and is often combined with Astragalus because together they fuel sexual desire as well as satisfaction. The package directs users to take two capsules each day with food. This company offers a money back guarantee. The individual ingredients within this formula have been clinically tried. The manufacturer’s headquarters are located in the U.S. There are positive user reviews posted for this product. The end formula has never been scientifically tested. Consumers must contact the company before shipping returns. The is a shortage of consumer reviews. The number one complaint appears to be with customer service. Spartagen XT can be purchased from the Edge Bioactives website or Amazon. It is $70 for a 30-day supply. This is an extremely expensive enhancement supplement with very few user reviews making it a poor purchase choice.